Best ActiveX Control Fixer Software, fix PC errors in 3 Steps! 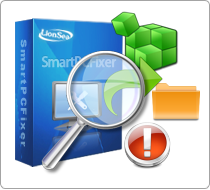 Smart ActiveX Control Fixer Pro is a top-ranking error-resolution registry cleaner which will fix the computer errors and optimize the system settings. You can scan, clean, optimize, and keep your PC much healthier with it! Most importantly, Smart ActiveX Control Fixer Pro is good at installing ActiveX Control, which will help people solve the problem in a few minutes. And its easy-to-use interface helps people fix this error efficiently. Smart ActiveX Control Fixer Pro is considered as one of the most effective software, which is specialized in fixing ActiveX Control issues and installing ActiveX Control. With this tool, you will never doubt about how to fix ActiveX Control. This tool is a top-ranking error-resolution registry cleaner which will fix the computer errors and optimize the system settings. You can scan, clean, optimize, and keep your PC much healthier with it! Most importantly, Smart ActiveX Control Fixer Pro is good at installing ActiveX Control, which will help people solve the problem in a few minutes. And its easy-to-use interface helps people fix this error efficiently and effectively. Active X is an essential component of Microsoft Internet Explorer browser. When you are searching internet, Active X acts an important role in enhancing your experience of a website. Active X technology is used to display small applications and multimedia embedded in web pages. The common situation that you encounter is that you cannot open your webpage normally. Most often, Active X errors result from registry problems. Therefore, to fix Active X, you had better modify the registry. Obviously, people cannot fix this issue by themselves. Smart ActiveX Control Fixer Pro will do it for you. Besides Fixing ActiveX Control, Smart ActiveX Control Fixer Pro can also be your computer doctor to troubleshoot your computer issue. Smart ActiveX Control Fixer is a powerful tool set which can fix 50+ common system errors, and repair dll problems, winsock, print spooler, and file association and ActiveX problems. It will help identify and fix Windows' invalid registry entries. By running Scan and Cleaner as part of scheduled maintenance, it will keep your PC from freezing or frequent crashes. Using it will reduce the probability of you getting a "blue screen", program not responding or lock up. All in all, when you encounter ActiveX Control problem, install Smart ActiveX Control Fixer Pro immediately. * Smart ActiveX Control Fixer Pro will fix PC errors in 3 Steps!